I humbly request for better support to improve UI for picking custom portraits during character creation. In current situation I imported 36 brand new custom portraits with specific names (order). And there are between vanilla portraits. And thats looking like mess. 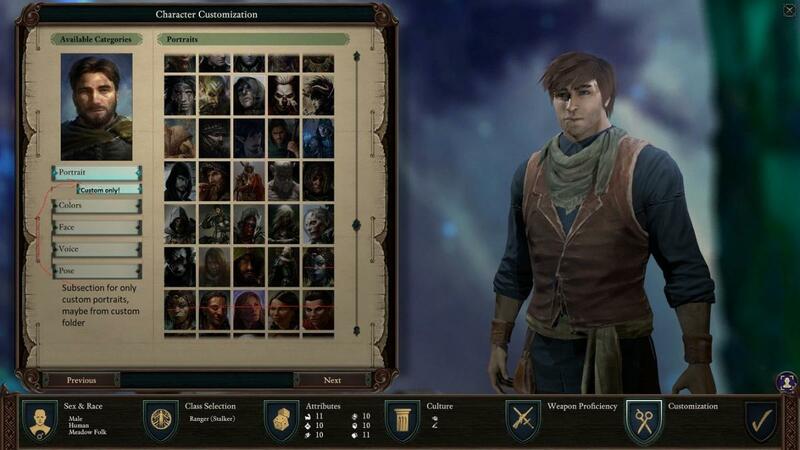 I hope for something like tab during character creation - under vanilla portraits - sth like "custom portraits" when we only want to pick from custom ones. Maybe another folder for custom portraits will be good too. As far as I know the portraits are displayed in alphabetical order. So naming your portraits something like z_<whatever> could make sure they are not shuffled between the other ones. I agree with your request. Even it would be nice if we have the possibility to filter by gender.